The students scheduled to speak are seniors: Elena Galano (Communication and Women's and Gender Studies) of Ann Arbor; Julia Fulton (French and Political Science) of Colton, New York; Deborah Kang (Biology and Classics) of Northbrook, Illinois; and Maya Smith (Chemistry) of Southfield. 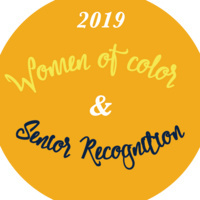 Also included in the evening celebration will be a senior recognition for all graduating students of color. This event is hosted by the Hope College Center for Diversity and Inclusion in collaboration with Student Development. Advance registration is required by Wednesday, April 11, or whenever tickets are sold out. Tickets, which include dinner, are free for Hope students, $15 for members of the Hope faculty and staff, and $20 for the general public, and may be purchased through the college’s Center for Diversity and Inclusion. The office, located in the Jim and Martie Bultman Student Center, is open weekdays from 8 a.m. to 5 p.m., and can be emailed at diversity@hope.edu or called at 616-395-7867.